New slim-downed single-head carton erector from Bradman Lake has a nice, small footprint. 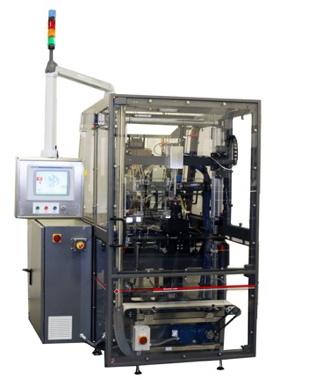 In 2015, Bradman Lake launched a variant of the highly successful, three-axis servo, HSS Double Head, glue and lock style carton/tray former in a single-head version that is smaller in footprint and more cost-effective for lower speed applications. This new variant had been considered previously but was precipitated when one Bradman Lake’s customers—a very large multinational chocolate and food company—placed an order for a complete integrated packaging machinery system that had to be located into a confined floor space. Both the space available for such a machine combined with the requirement for low carton forming speeds dictated a need for a creative solution. 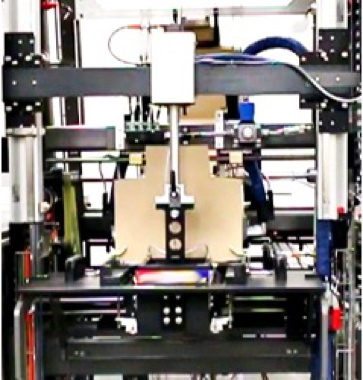 The engineering design team at Bradman Lake knew they had to design and build this new forming machine within a clearly-assigned number of months, and responded with the development of a ‘slimmed down’ single-head version of the larger HSS former that retained and enhanced the technical features that have been so readily accepted by the industry. Turnover end-tooling can be fitted to produce single- and double-side wall cartons and trays commonly known as frame view styles. The new machines quickly made their debut and won accolades from the customer for advanced design function and practical application of compact design techniques. The HSS Single Head former has now joined the ever expanding range of Bradman Lake packaging machines which offer tangible benefits to an increasingly demanding set of industries and customers. Information also available via e-mail at sales@bradmanlake.com or by visiting the company website at www.bradmanlake.com.